From BCR..."Mature tubular rosette to 30cms. tall. 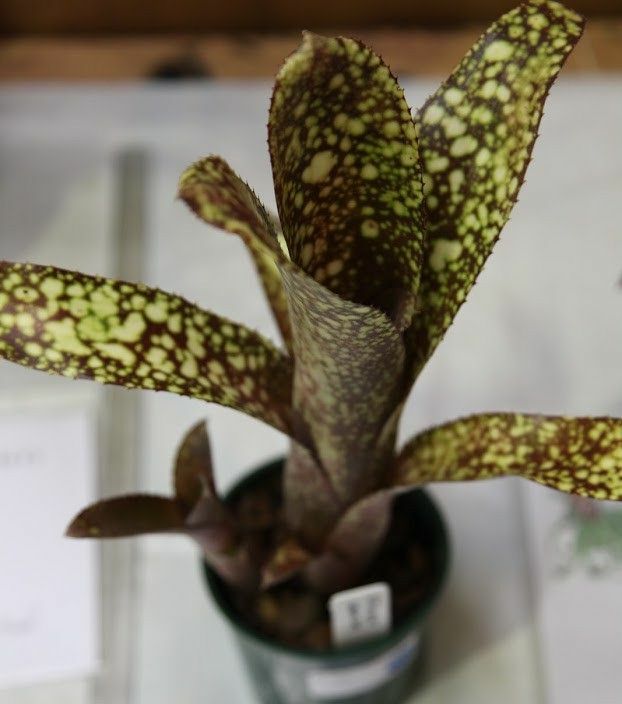 Red-brown base color leaves with yellow spots. The arching/pendant inflorescence has pink / red scape bracts and violet petals.Grex sibling = B. Golden Joy Purple. N.S.W."